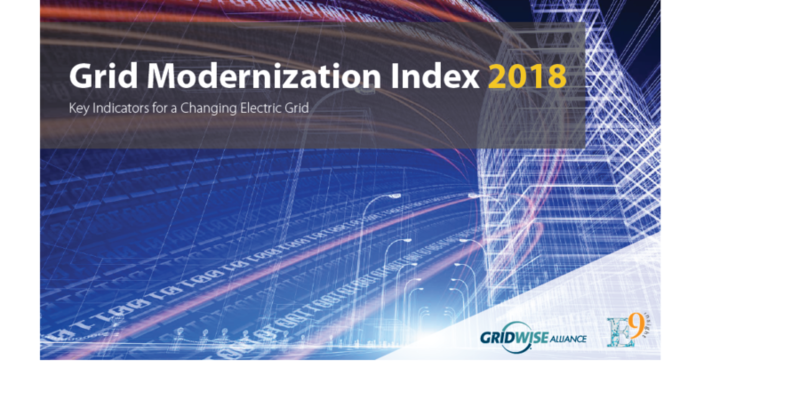 The 2018 Grid Modernization Index (GMI-2018) Final Report is now available. 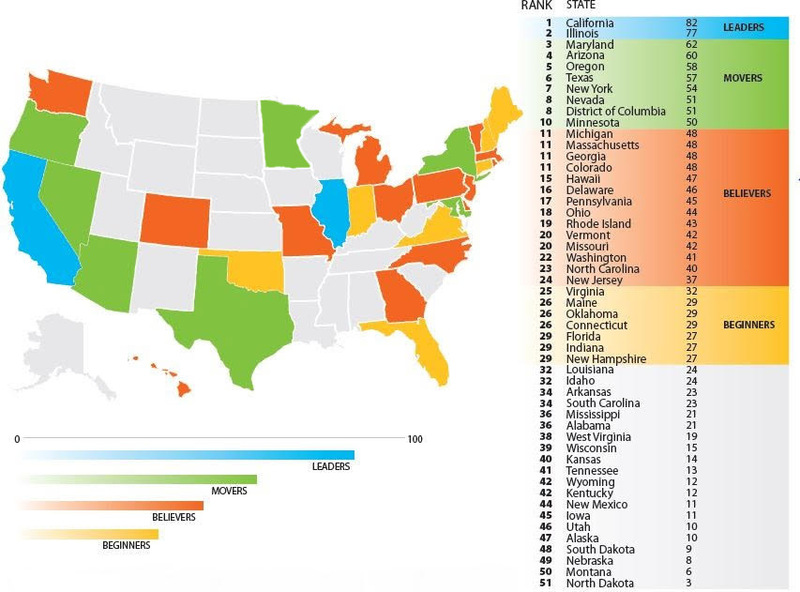 The GridWise Alliance’s Grid Modernization Index (GMI), produced in collaboration with E9 Insight., assesses and ranks all 50 states and the District of Columbia, based upon the degree to which they have moved toward a modernized electric grid. Two states stand out for their coordination of policy, consumer and utility action: California and Illinois. Both have established legislative mandates and incentives that are driving utility action and have established technology platforms – such as advanced metering infrastructure – that provide direct consumer benefits. But beyond that, both states have proactively sought to establish policy frameworks that address the access, usage, and protection of customer data. In Illinois, the Future Energy Jobs Act established numerous requirements and incentives for renewable energy, storage, long-term planning, and energy efficiency, including peak demand reduction. Earlier this year, the Illinois Commerce Commission (ICC) issued a ground-breaking order to establish regulatory accounting treatment for cloud-based computing solutions, seen by many observers as a key pathway to move toward a service orientation (versus the traditional infrastructure focus core to most regulatory regimes). California, through its legislative public utility commission and other state agencies, has been a grid modernization pioneer. The utilities in the state have responded in kind, implementing distribution system planning processes, competitive solicitations for distributed energy, non-wires alternatives and new rate designs. Together, these “leaders” represent a bit more than 15 percent of the total U.S. electricity revenue. The GridWise Alliance’s Grid Modernization Index (GMI) assesses and evaluates all 50 states and the District of Columbia based upon their progress in modernizing their state’s electric grid. Using data inputs from key industry stakeholders and publicly available information, the GMI benchmarks each state on a wide range of factors that influence grid modernization policies, investments, and accomplishments. The GMI-2018 Summary Report was published in collaboration with E9 Insight.